People underestimate the power of advertising. It’s not about just putting your brand or product in front of the consumer but about how you can do it well enough to change behaviours and habits. Over the years with the emergence of technology, the shift from advertising in newspapers or billboards has moved to selling an idea on mobile phones and LED screens. Although, this does not necessarily mean that advertising via traditional methods is becoming obsolete. Each advertising platform reaches a certain target audience and brands need to optimise their advertisements on each platform to cater to each audience. Current trends show how that the OTT industry is disrupting traditional media when it comes to advertising, as a study done by PWC1 states that 12.7% of brands are more keen to spend on internet advertising meanwhile the 4.4% of brands are spending on television advertising. Brands are becoming more cautious with their decision between advertising on digital or traditional platforms as they are fearful of making the wrong decision in their effort to reach their intended target audience. In today’s industry, brands need not worry about choosing which platform to advertise on when wanting to reach a mass target audience. A study done by Nielsen2 showcases the statistics of the Malaysian media landscape in the year 2017 which states that 94% of young adults between 15-24 consume both digital and traditional media. Viu’s recent partnership with Media Prima has provided an opportunity for brands to advertise on all platforms, such as the digital OTT space, and traditional media through television, radio and newspapers. This digital to offline advertising is a one-of-a-kind opportunity and provides a 360-degree exposure for brands to reach a higher number of Malaysians. Brands benefit most when their advertisements are optimised and effectively targeted to the intended audience, as it reduces the likelihood of viewers skipping ads. Viu and Media Prima’s partnership offers a chance for brands to broaden their target market reach by advertising their products and services on Viu’s originals shows – as it offers the longevity of brand exposure. Take for example Salon, a Viu Original series, which is a story about Anna who opens a salon that becomes the talk of KL town, shampoo brands or salons can use product integrations, tv spots and pre-roll or mid-roll ads on Viu Originals. Jibril, on the other hand, is a show that showcases the aspects of law in Malaysia and the use of Artificial Intelligence and technology. Advertising opportunities for brands can range from law university degree courses, technology products or even clothing brands. The Bridge is a regional Viu Original that will be filmed in Malaysia and Singapore and it revolves around a dead body that is found exactly at the halfway mark between the two countries – split in half and made up of two different women. As it is a regional show, this gives brands from both Malaysia and Singapore opportunities to advertise and reach a wider audience in both markets. 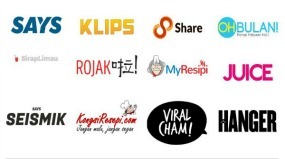 By advertising on Viu Originals, not only would Malaysians know more about the brand but also associate it with Viu and the celebrities that are casted in Viu Originals. Favourite Malaysian artists that will be starring in the show are Lisa Surihani, Tony Eusoff, Bront Palarae, Aeril Zafrel and more. 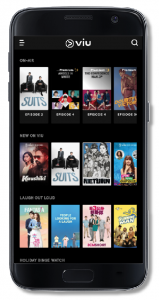 The reach of these shows that span beyond just OTT can give brands added confidence in their placements as it covers both mass reach TV and targeted OTT audiences. Viu’s partnership with Media Prima merges both traditional and digital media when it comes to advertising, creating a unique opportunity for advertisers. Brands no longer have to worry about deciding which platform to advertise on when they can have an all-round exposure to consumers. Viu is proving itself to be a OTT-streaming platform that prioritizes building and strengthening relationships with other brands, making it more than just a business deal based on the number of brand partnerships Viu has worked with. With the unique mix of traditional and digital media provided to advertisers by Viu and Media Prima, this is an opportunity not to be missed.